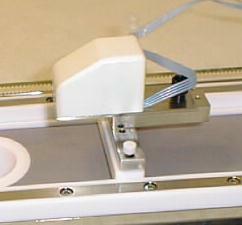 The Wilhelmy device is based on the principle of an electronic microbalance. It has outstanding performances with respect to precision and stability, even under extrem environmental conditions. It is the smallest device available on the market and was especially designed for troughs where space is an argument (e.g. epifluorescence microscopy, BAM). It can be utilized as a stand-alone tensiometer as well. Size of the instrument: 45x25x30 mm3 (l x w x h). The control electronics of the microbalance is designed as a modul to fit into the 19" or 11" R&K standard housings (leftmost unit in the picture). It provides analogue voltage output at the front panel to monitor the pressure (BNC, 1V/10mN). Offset and gain are adjusted by multiple turn potentiometers. 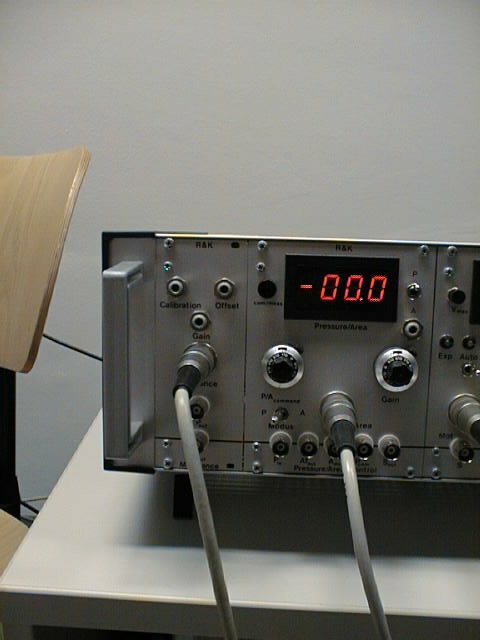 An additional modul with digital display is available to complete a stand-alone tensiometer (not visible here).